James Connolly, group bars manager for Long Chim. 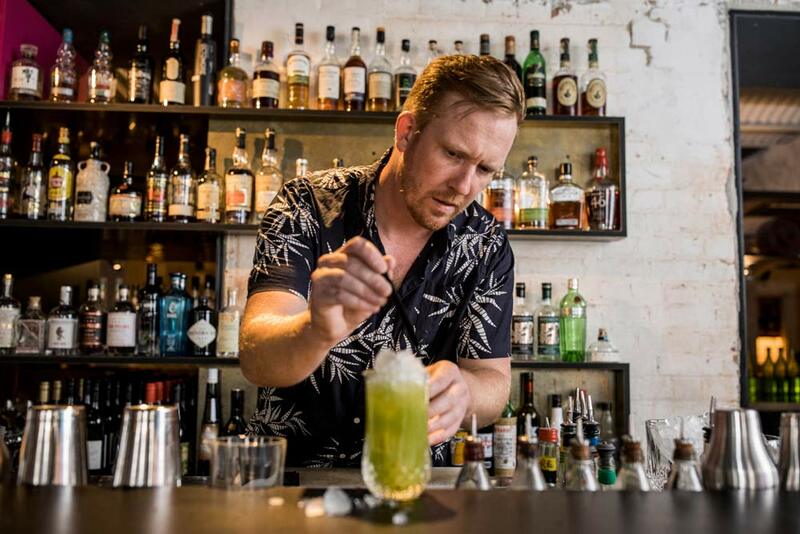 James Connolly is a name familiar to regular readers of Australian Bartender, with the Perth-based bartender regularly featuring at the pointy end of cocktail competitions and having established himself as a central player in Perth’s bar scene over the better part of the last 10 years. Connolly is now the group bars manager for Long Chim, with venues in not just Perth but also Sydney and Melbourne (you can read what a normal day in his life is like here), which has seen him work with noteworthy chefs, collaborate on the newly released Bangkok Gin, and push his cocktails into different parts of the country. 2017 saw Connolly crack the Top 10 of the Bartender Magazine Most Influential List sponsored by Angostura aromatic bitters for the first time at the number 10 spot, and below he talks about trends for 2018, how he got his start behind the bar, and more. What do you want to see take off in 2018? Mate if I knew the answer to that I wouldn’t be telling everyone! What a time to be alive for boozehounds! Amazing beers, cocktails, wines and spirits are everywhere. I see a lot of south east Asian flavours outside of my own work place so I’m sure that’s going to continue. More good gin! Higher abv tequilas. If you were face to face with your 21 year old self, what advice would you give them? Stop being a dickhead. Invest some money in wine and property. Lots is happening in the world of Long Chim with some very exciting news just around the corner on a few fronts. That and a beer gut. Who from the next generation is impressing you with what they’re doing? Who’s got a bright future ahead? There are some seriously talented young guns out there. In WA we have some really enthusiastic skilled people around. Dean Buchanan who works at Long Chim Perth with me is a top bloke and a gun bartender too. Phil Weber is one of my favourite bartenders and I’m sure he will go a long way! Can you tell us a bit about your first bar job? The Winkfield Working Mans club, where white spirits were for the ladies, you could smoke behind the bar, the only food was peanuts or scampi fries and you could play the fruit machine (pokies) on your break. We mainly sold beer, black & tans, gin and tonics (no ice).